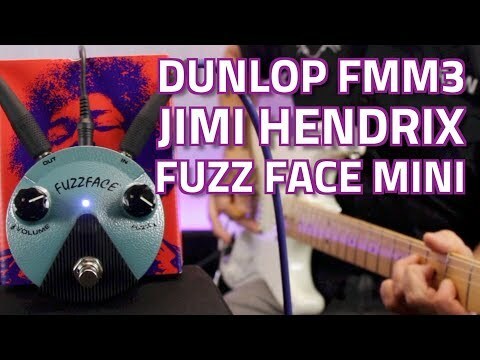 The Dunlop FFM3 encapsulates the legendary tone of Jimi Hendrix. With a simple to use interface with volume and fuzz controls, just crank it.. The Dunlop FFM3 encapsulates the legendary tone of Jimi Hendrix. With a simple to use interface with volume and fuzz controls, just crank it up and you can emulate the tone of this guitar legend...Foxy! The pedal has the exact same wiring as the JHF1 but this time condensed into a neat package designed to fit seamlessly into your pedal board (only just over 8cm wide! ).